Jack Mountain Meats is an artisan food company dedicated to locally sourced, handcrafted, quality food. Helping strengthen our regional economy, they work closely to foster relationships with local farm partners and customers. Jack Mountain Meats whole-carcass approach is designed to offer a true nose-to-tail culinary experience. They process their local pigs into fresh cuts, sausages, charcuterie and other unique products. Jack Mountain Meats USDA approved facility was completed in March 2015 with a focus on safe and efficient food handling. They utilize modern equipment and technology to create a clean and safe environment while maintaining old fashioned, handcrafted techniques. 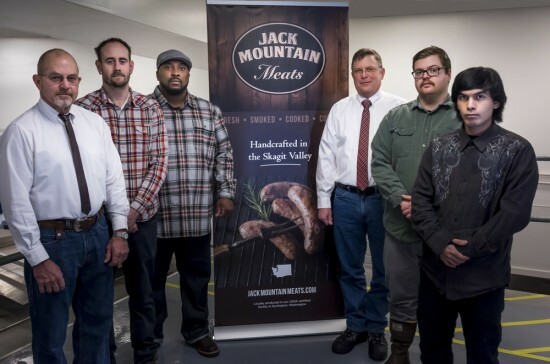 Why Try Jack Mountain Meats?